The average customer sees at least 5000 ads per day. Of those ads, how many do you think they remember? With a recognisable scent, you can tap into clients’ emotions in a way that other forms of advertising can’t. A scent is always more than just a scent. It makes us feel. And tapping into humans emotions is the foundation of every form of marketing. 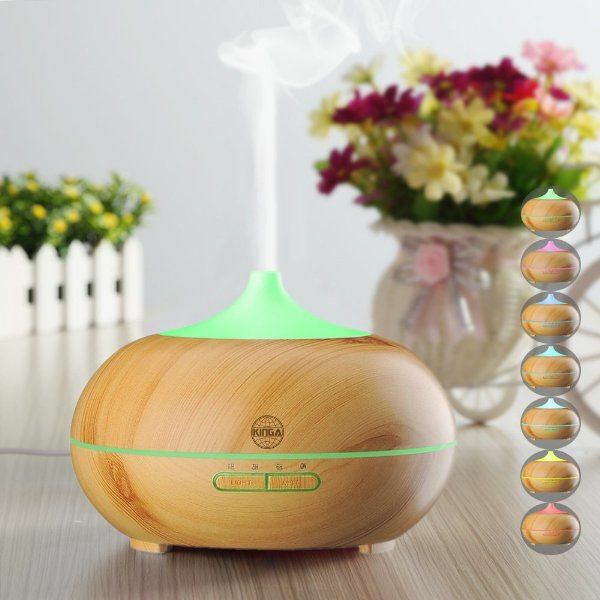 That’s why this month we’re giving away two KINGA essential oil diffuser + fragrant oil packs! If you win, what “olfactory logo” will you pick for your salon or spa? *Giveaway closes on April 4th, 2018 or as soon as it reaches 600 live entries. Combine the benefits of aroma-therapy, aqua-therapy and light-therapy or use the unit as a simple humidifier; you choose! As usual, our monthly contest will run for two weeks (March 21st to April 4th, 2018) and will be accessible here, on the Phorest Blog and our Facebook Page. Enter Here For A Chance To Win A KINGA Essential Oil Diffuser (And A Fragrant Oil Starter Pack)! Opt-in if you want to be informed of new contests and receive marketing tips and tricks from the Phorest Blog. Congratulations to March’s winners Trey Etchason, Jennie Ham and Cara Simon who all three won a Remax Bluetooth Speaker!